The auto industry has been developing more than ever within the past few years. Electric cars are evolving, along with manual and automatic vehicles producing some of the most prestigious vehicles to date. 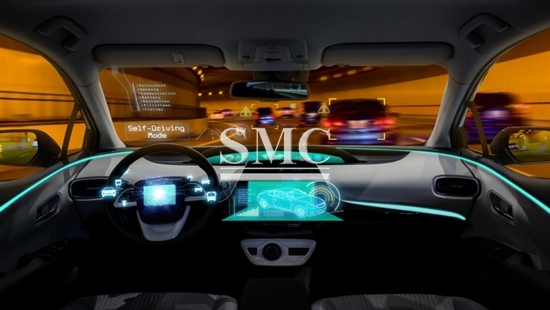 Just when we thought that the automotive industry was reaching its peak, it introduces the idea of literal autonomous vehicles – self driving vehicles. The movement was driven by a number of industries such as Ford, Waymo, Lyft, Uber, and Volvo. Recently. NVIDIA has announced that they will be partnering with Volvo and Autolive to work and develop hardware and software to improve self-driven vehicles. Jen-Hsun Huang, CEO of NVIDIA said, “Artificial intelligence is the essential tool for solving the incredibly demanding challenge for autonomous driving.” Self-driving vehicles is joining the efforts of promoting greener cites, make driving safe, and reduce traffic on the road. They plan on using NVIDIA’s DRIVE PX and AI car-computing platform as the foundation for the software development. The companies involved will be collaborating together to produce a system that will utilize deep learning and AI to recognize different objects in different environments to control the vehicle. Also, NVIDIA announced that they will be partnering with ZF and HELLA distribute the AI technology with the New Car Assessment Program. ZF is considered one of the largest automotive suppliers while HELLA is a major supplier of camera perception and sensor technology. By partnering with these two, they believe that they will be able to produce a product that is equipped with the best technology. The goal is to provide customers with a vehicle that is completely self-driven with a system that integrates front cameras, supportive software, and radar systems. Along with the technology, there needs to be a set of safety standards that are implemented in order for this the move forward correctly. They have given the National Highway Traffic Safety Administration complete authority over the autonomous vehicles. There is a need of clarifying appropriate federal and state laws and responsibility regarding self-driving vehicles. David Strickland, the general counsel for the driven group stated, “The federal government retains the authority to promulgate and enforce nationally uniform motor vehicle safety standards.” As of right now, there are no set standards, just a set of voluntary safety rules that were presented during the Obama administration. The Let NHTSA Enforce Autonomous Vehicle Driving Regulations, also known as LEAD’R Act is currently being reviewed by the House Digital Commerce and Consumer Protection subcommittee to establish a federal framework for the autonomous vehicles.